Designing an aluminum extrusion is a serious business regardless of your work or use of the aluminum extrusion shapes you use in your company. There are many variables to consider with sizes ranging from 100 inches to large spans from many types of aluminum alloys. When working with the design of custom extrusions, there are many basics of consideration. However, there are some unique parameters that designers use to get amazing results. When designing an aluminum shape, the type of alloy used is critical. There are numerous available choices. However, there are a few commonly used because of their properties including surface finish, ease of use, strength, and much more. 3003 – Has low mechanical strength. Good for heat transfer applications. 6063 – It has low mechanical strength. They are used for structural trims, windows, and doors. 6061 – Has moderate mechanical strength. It is used in various industrial applications. 7075 – Has the highest mechanical strength. They are used in designing aluminum extrusion pieces. The tamper is associated with the type of material used for creating aluminum extrusion shapes. The tamper is a combination of aluminum strength and hardness produced by thermal or mechanical treatments. Tensile, yield, and elongation are used to measure aluminum mechanical properties. Many manufacturers overlook this important aspect of aluminum. Shapes with uniform thickness are easiest to produce. 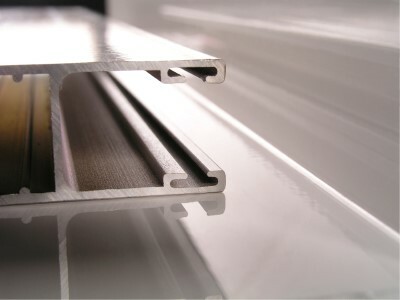 There could be twists in the manufacturing process of aluminum extrusions if the thinner sections do not fill properly. The larger the dimension of the shape created, the wider the tolerance required. The creation of both custom aluminum extrusions and standard extrusions can be applied to both tubing and shapes. It is important to consider the corner radii to create a custom aluminum extrusion. The larger the wire used, the larger the radii produced at the die from custom aluminum extrusion suppliers.